Above: Microwave imagery (overlaid on a visible satellite image) from around 6:00 am EDT Saturday, September 2, 2017, showed that Irma had again developed a double eyewall structure, with a small inner eyewall and a larger eyewall developing around its east side (yellow and red colors, denoting intense thunderstorms). Once the larger eyewall wraps completely around Irma, completing an eyewall replacement cycle, reintensification may again take place. 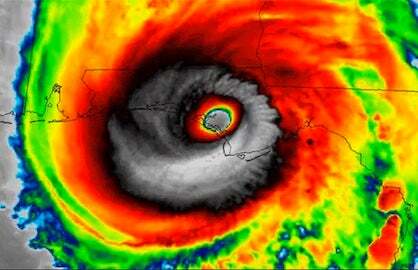 Image credit: NOAA, via Philippe Papin (@pppapin). 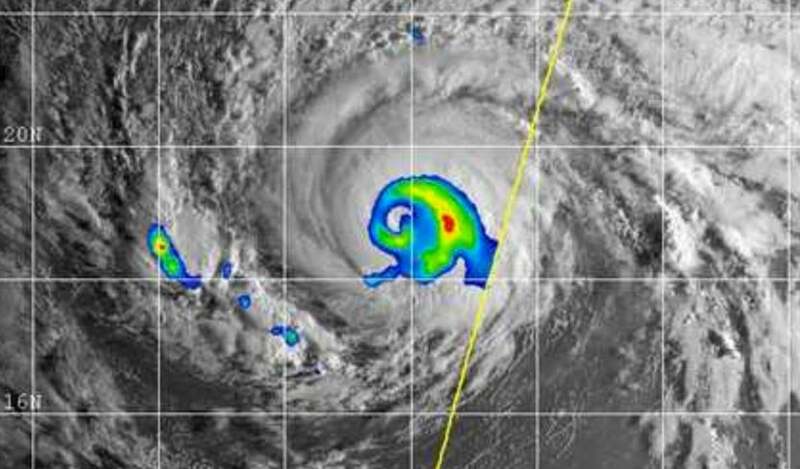 Hurricane Irma remained a powerful hurricane over the waters well east of the northern Lesser Antilles Islands on Saturday morning, and was headed slightly south of due west at 15 mph. 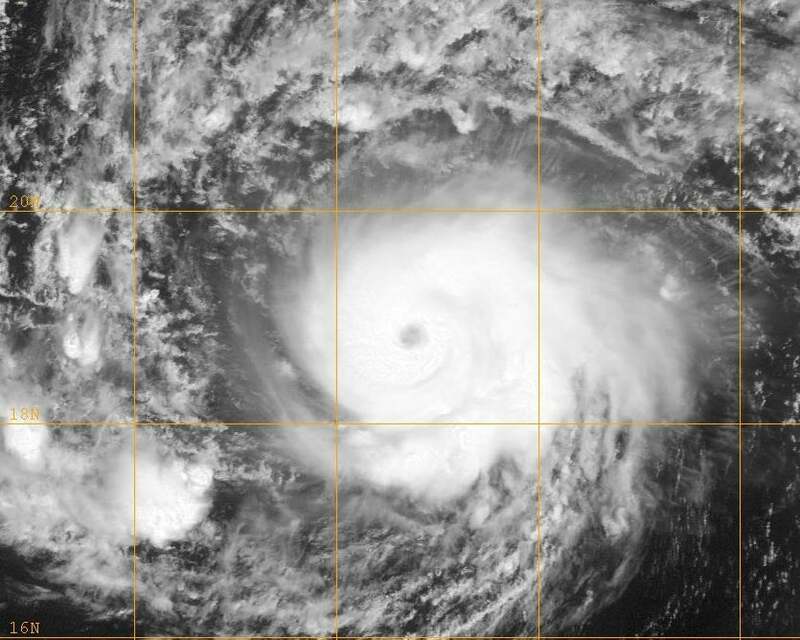 Irma is expected to pass close to the northern Lesser Antilles Islands on Tuesday and Wednesday, and is a long-range threat to The Bahamas and U.S. East Coast late in the week. Irma's peak winds have been fluctuating in intensity between 110 – 120 mph winds (near the boundary of Category 2 and 3 strength) since Friday, due to one or more eyewall replacement cycles (ERCs) that have affected the storm. These cycles are difficult to predict, and will likely continue to affect Irma throughout the coming week. 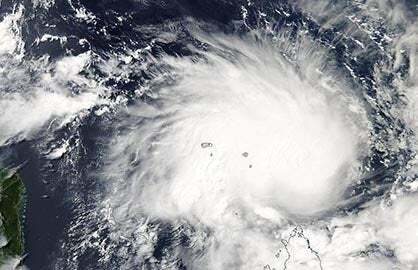 Satellite images on Saturday morning showed a very well-organized storm with little spiral banding and a wide donut-shaped ring of heavy thunderstorms surrounding a large eye. This may mean that Irma is progressing towards becoming an “annular” hurricane; these types of hurricanes are more resistant to wind shear and dry air, and weaken only slowly in adverse conditions. Irma had a respectable upper-level outflow channel to the south, and a weaker one to the north. Conditions were marginal for strengthening, with sea surface temperatures (SSTs) near 26.5°C (80°F), and a dry surrounding atmosphere with a mid-level relative humidity near 50%, according to the 12Z Saturday analysis from the SHIPS model. However, low wind shear of around 5 - 10 knots was quite supportive of development. Figure 1. Visible satellite image of Irma at 10:15 am EDT Saturday, September 2, 2017. 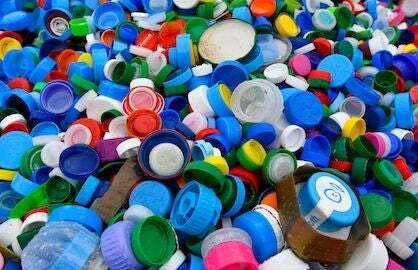 Image credit: Navy Research Lab, Monterey. Through Monday, wind shear is predicted by SHIPS to remain very favorable for development—mostly a low 5 - 10 knots. Beginning on Monday, though, upper-level winds out of the northwest will begin creating moderate wind shear of 10 – 20 knots, and these less favorable conditions are expected to last into the middle of the week. Given Irma’s well-developed core and emerging annular structure, I expect that this modest wind shear will not keep Irma from intensifying. Beginning on Sunday, Irma will encounter warmer SSTs, with a major increase in total heat content, and on Monday, mid-level relative humidity will start to rise. These favorable conditions for development should allow Irma to strengthen. If the storm can develop upper-level outflow channels to both the north and the south, intensification into a high-end Category 4 storm or stronger may occur, late in the week. Four of our five most reliable intensity models--the HWRF, COAMPS-TC, HMON, and DSHIPS--predicted in their Saturday morning runs that Irma would be a major Category 3 or 4 hurricane with 115 – 145 mph winds for the next five days, and the official NHC forecast of a Category 4 hurricane when it makes its closest approach to the northern Lesser Antilles Islands on Tuesday and Wednesday looks reasonable. Figure 2. Most likely arrival time of tropical-storm-force winds in the islands, as of the 5 am EDT Saturday, September 2, 2017 advisory from NHC. Irma will assume a more west-southwesterly track soon, as the ridge of high pressure steering the storm builds to the southwest. A more westerly and then west-northwesterly track is expected Monday through Wednesday, keeping the core of Irma just north of the Lesser Antilles, Virgin Islands, and Puerto Rico. Since Irma is a small storm, with tropical storm-force winds that extend out only 70 miles from the center, it is possible that none of the islands will experience tropical storm-force winds if Irma follows a track down the center of its cone of uncertainty. Remember, though, if you are in the cone of uncertainty, you are at risk of a direct hit, and you should not assume Irma’s core will miss to the north, though that is the most likely outcome. If Irma's center does pass north of the Leewards, it would put the islands on the weaker left-hand side of the storm, but a hurricane this strong could still have impacts if Irma gets close enough. The 11 am EDT Saturday Wind Probability Forecast from NHC highlighted a number of islands that might be at risk of tropical storm-force or hurricane-force winds on Tuesday and Wednesday. The highest odds were for Barbuda and Saint Maarten, with a 35 - 39% chance of tropical-storm force winds, and a 9 - 11% chance of hurricane-force winds. 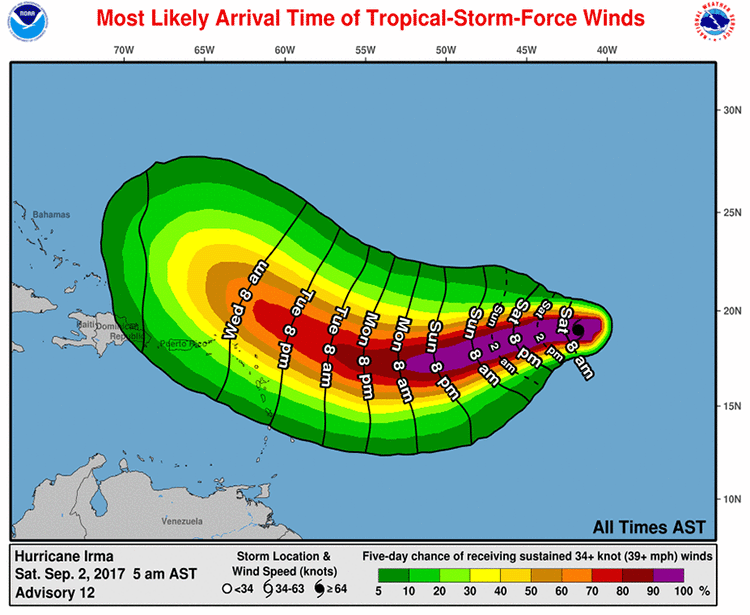 For the Virgin Islands and Puerto Rico, a 13 - 24% chance of tropical-storm force winds was given, and a 2 - 6% chance of hurricane-force winds. Beyond Wednesday, the uncertainty in Irma’s track expands greatly. Irma will be sandwiched between a strong Atlantic upper-level ridge and an autumn-like upper-level trough that will be progressing across the U.S. next week. The southerly flow between these features is likely to funnel Irma northward at some point late next week, but it’s still too soon to tell exactly where and when that will happen. The outcome may depend on energy now crossing the Pacific Ocean, which will shape the eventual location and timing of the central U.S. trough. The Saturday morning operational and ensemble runs of our two best models for tracking hurricanes, the GFS and European models, portrayed an increasing long-range threat to The Bahamas and U.S. East Coast compared to their runs the previous day (Figures 3, 4, and 5.) However, we cannot rule out a more southward track into Cuba and then into the Gulf of Mexico, or a track that recurves Irma out to sea without affecting any land areas. The bottom line: Irma could affect the Leeward Islands beginning on Tuesday, and it will need to be watched as a potentially significant threat to the U.S. and The Bahamas in 6 to 12 days. Figure 3. 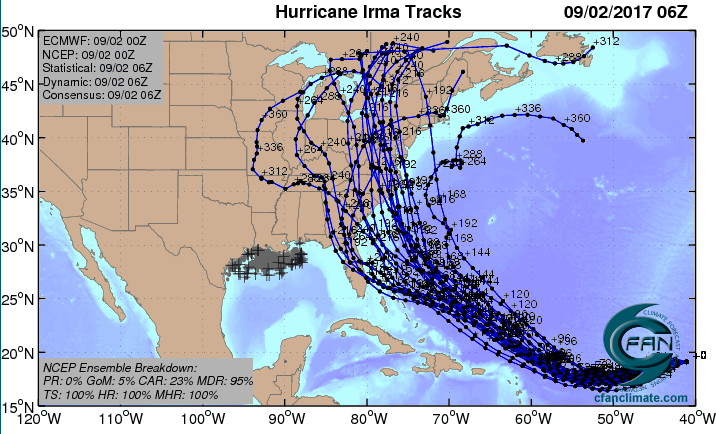 The 20 track forecasts for Irma from the 0Z Saturday, September 2, 2017 GFS model ensemble forecast have all of the solutions but one indicating an eventual landfall on the U.S. East Coast, but no landfalls in the Caribbean. 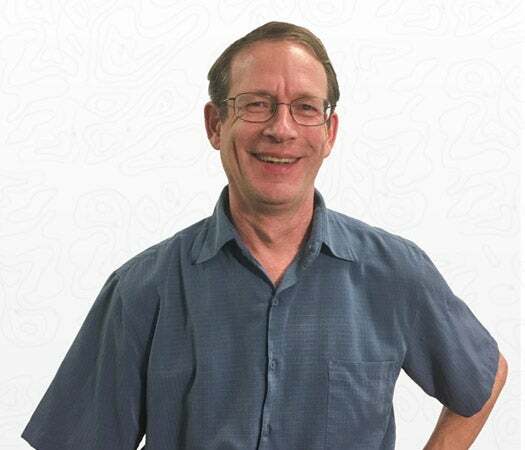 Image credit: CFAN. Figure 4. 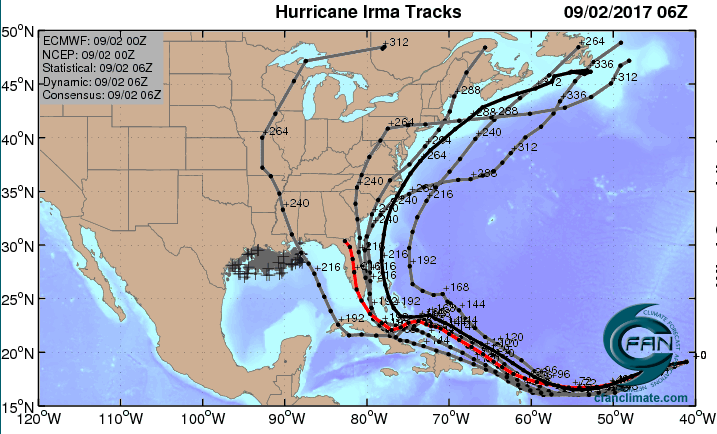 The 0Z September 2, 2017, track forecast by the operational European model for Irma (red line, but adjusted by CFAN using a proprietary technique that takes into account storm motion since 0Z ), along with the track of the average of the 50 members of the European model ensemble (heavy black line), and the 50 track forecasts from the 0Z Friday European model ensemble forecast (grey lines), predict that the U.S. East Coast might be at highest risk from a strike, though there are quite a few solutions that have a storm that recurves out to sea without hitting land. Image credit: CFAN. Figure 5. 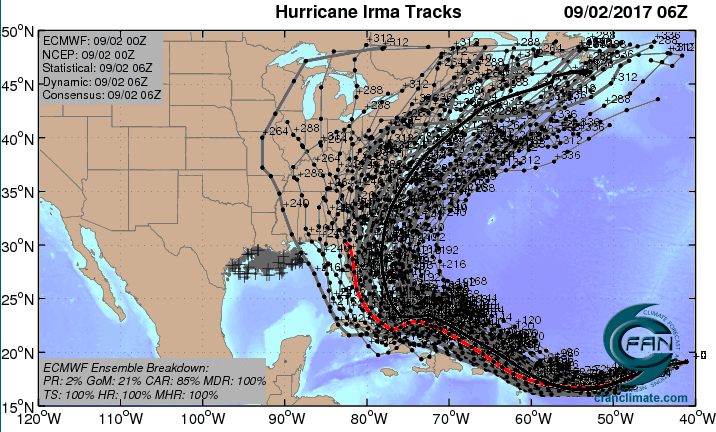 The 0Z September 2, 2017, track forecast by the operational European model for Irma (red line, but adjusted by CFAN using a proprietary technique that takes into account storm motion since 0Z), along with the track of the average of the 50 members of the European model ensemble (heavy black line), and the track forecasts from the “high probability cluster” (grey lines)—the four European model ensemble members that have performed best with Irma thus far, as of 6Z Saturday, show that the Bahamas, U.S., Canada, and Cuba might be at highest risk of a strike. Image credit: CFAN. A tropical wave that emerged from the coast of Africa on Thursday was located about 300 miles south-southwest of the Cabo Verde Islands on Saturday morning, and was moving west at about 10 - 15 mph. Satellite images on Saturday morning showed the wave had a modest amount of spin, but heavy thunderstorm activity was thin and poorly organized. Conditions were favorable for development, with low wind shear of 5 - 10 knots, SSTs near 28.5°C (83°F), and a moist surrounding atmosphere. The 0Z Saturday operational runs of our three reliable models for predicting tropical cyclone genesis—the GFS, European and UKMET models—had two of the three, the European and UKMET, predict development of this wave by Tuesday or Wednesday, over the central tropical Atlantic. Over 40% of the 70 forecasts from the 0Z Saturday GFS and European model ensemble predicted development. The 0Z and 6Z Saturday runs of the GFS were not keen on developing the system, predicting that the system would be close enough to Hurricane Irma such that upper-level outflow from the hurricane would create destructively high wind shear over the central Atlantic next week. The wave will move west or potentially west-northwest over the coming week, and residents of the Lesser Antilles Islands should keep an eye on this system. In its tropical weather outlook issued at 8 am EDT Saturday, the National Hurricane Center gave this system 2-day and 5-day odds of development of 0% and 60%, respectively. The next name on the Atlantic list of storms is Jose. Bob Henson contributed this post.